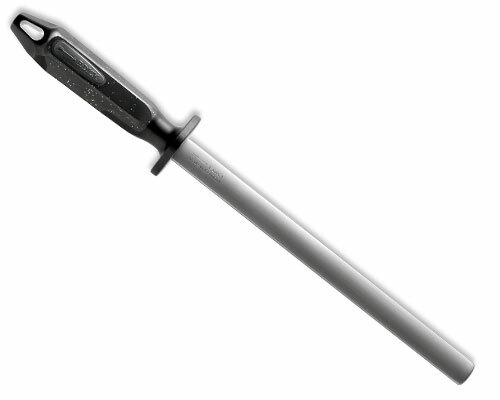 Victorinox 12 in. 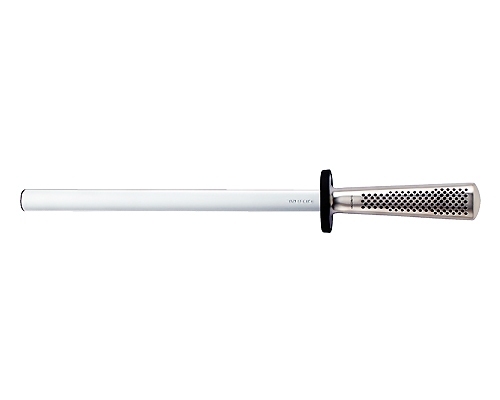 Round Solid Core Diamond Steel is a great way to sharpen your knives quickly on the go. 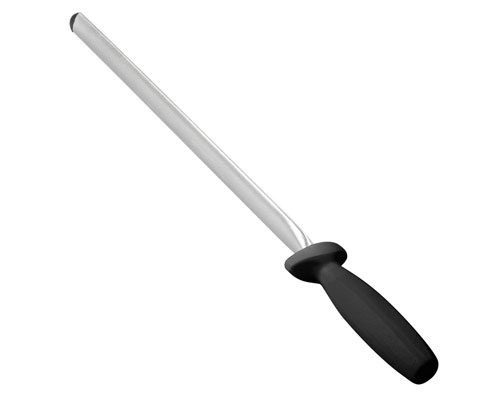 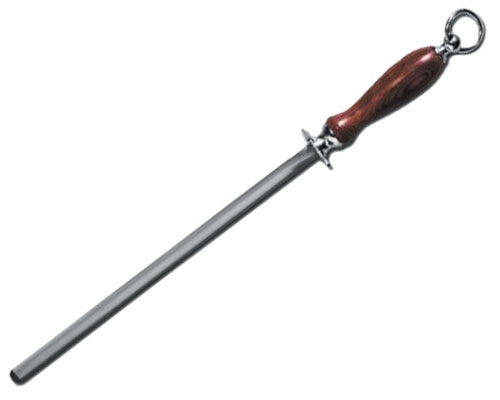 At 600 grit, this is a fairly aggressive steel to be used for removing metal and establishing an edge on a dull knife. 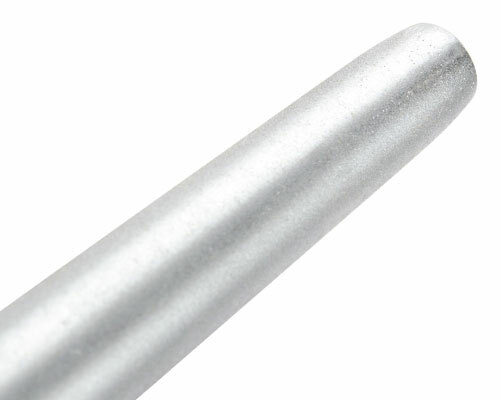 The Diamond particles are well-adhered to the solid stainless rod, making this a product that should last for many years. 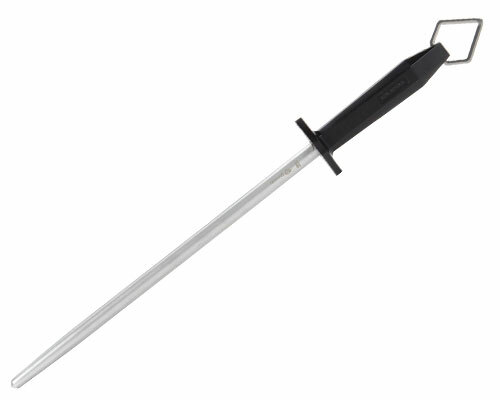 We suggest a fine ceramic rod as a secondary sharpening tool to smooth and refine an edge sharpened with Diamond steels.